Mike Thornton is a man of many talents. Working in post both for the BBC and local TV and radio, he has spent several decades making sure the sound of both pre-recorded and live TV is just right. 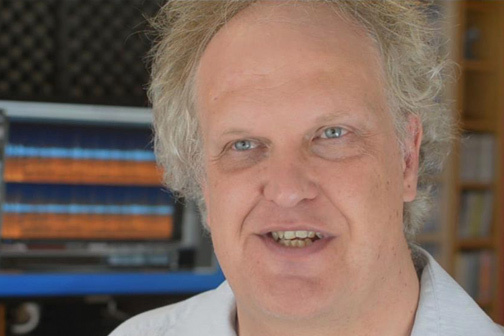 He is also Deputy Editor of Pro Tools Expert and a contributor to Sound on Sound magazine. We sat down with him to see why he uses Synchro Arts products for post. I have been in the broadcast audio business all of my working life. It started with an apprenticeship at Marconi’s and I then became their audio test and development engineer in the 1970's. In the 1980s I worked in commercial radio for Piccadilly Radio in Manchester, becoming a senior engineer and running the outside broadcast department single-handedly for 5 years. I was also involved with various early live acoustic sessions from visiting artists, some of whom, such as The Alarm, went on to take my tracks and release them on their own records. Since the 1990's, I have been working freelance on OB's (Outside Broadcast's) before running my own sound OB unit - The Omnibuss Mobile, and becoming the first person to do a live broadcast in Dolby Surround in the UK. I got into Pro Tools when it was v2, which was only 4 tracks on a good day, and developed broadcast workflows with Pro Tools as I progressed. Since then, most of my Pro Tools work has been in the broadcast sector in both radio and TV sound, winning a number of awards along the way. One of my recent projects was to record an acoustic music video sequence on location for BBC 1's Comic Relief's edition of 'Songs of Praise'. We recorded the audio and shot the video close-up's which meant that there would be none of the lip sync issues that can come from miming - because what you saw is what you heard! Then I used the master take as a playback for all of the other shots as it was filmed using single camera. Prior to that, I worked on a BBC Radio 3 radio drama for the experimental ‘The Wire” slot enjoying the creative freedom it provided. Other projects have included writing for Pro Tools Experts and producing training videos for Groove 3. I used to use VocAlign but now I only use Revoice Pro. It's great to be able to manipulate both time and pitch and it works well for me in both my Post and Music work. Firstly, because there is nothing like them but that isn't the only reason. If they were difficult and time consuming to use then I would have found another way - but they are actually very easy to use, I can get good results quickly and that is good news for my clients because time is money! That I can get very good results quickly. Revoice Pro has already saved me and my clients' bacon several times! I have some more creative projects coming up soon for which I will find the new features in Revoice Pro so useful. Just about all of the features in Revoice Pro from being able to sort out bad ADR to producing great sounding vocal doubling tracks. But the best bit for me is the link plug-in for my beloved Pro Tools which makes it so easy to get work in and out of Pro Tools. I wish other manufacturers of stand-alone application would implement this feature into their workflow processes. What advice would you give to someone who is just starting out in audio production? Develop your craft, try and learn from established people, find those you are generous with their skills and learn as much as possible. But remember, you learn the most by doing and by making mistakes. So practice, practice and practice some more! Be prepared to work hard, always own up when you screw up and don't blame other people or the kit for your mistakes. Then move heaven and earth to fix it going the extra mile to do more than just fix it. Clients will always remember that you went that extra mile rather than screwing up. I am often asked if I think the technology is helping or hurting the recording industry. My answer is neither and both. Technology is a tool that can aid creativity, but you have to be creative to create. What technology has changed, is access to the tools to be creative. The tools are much cheaper these days, and so more and more people now have creative tools on their home computers, for example, but that doesn’t necessarily mean they have the creative talent to make the most of these tools. Similarly, Web 2.0 has broken down the publishing barrier and anyone can now publish their creations, although it doesn’t necessarily mean they are all good! Technology has effectively removed the gatekeepers that were the cost of equipment and the ability to publish, but it does mean there is so much more content out there and the challenge is how to find the good stuff, especially when one person’s good is another’s rubbish.